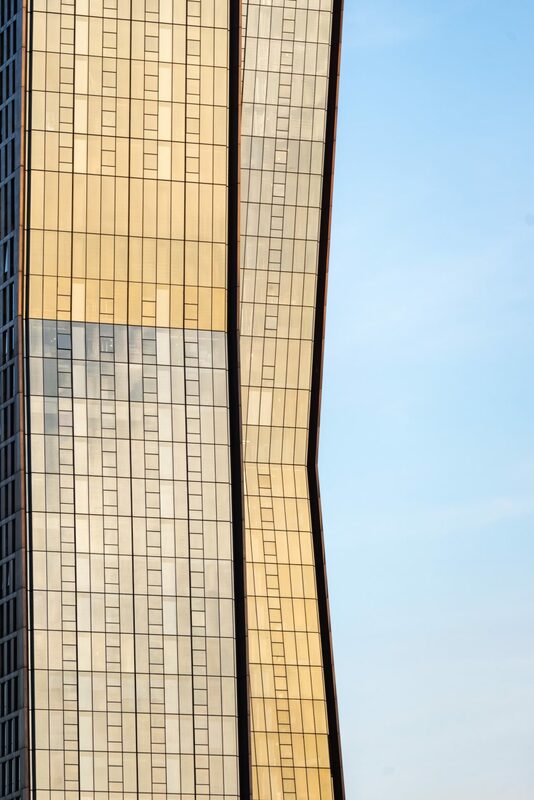 The American Copper Buildings redefining the East River. 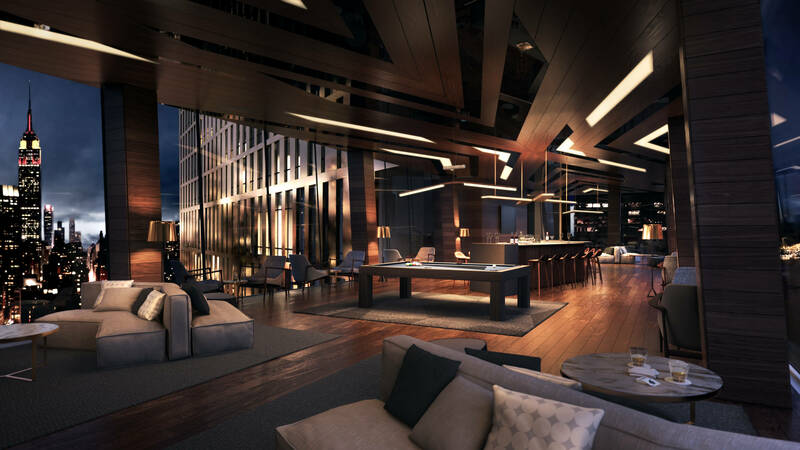 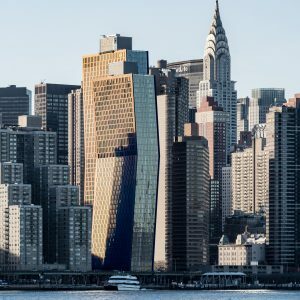 American Copper Buildings, a co-development with JDS Development Group, designed by collaborators SHoP Architects, presents two bold and dynamic residential towers on New York City’s East River. 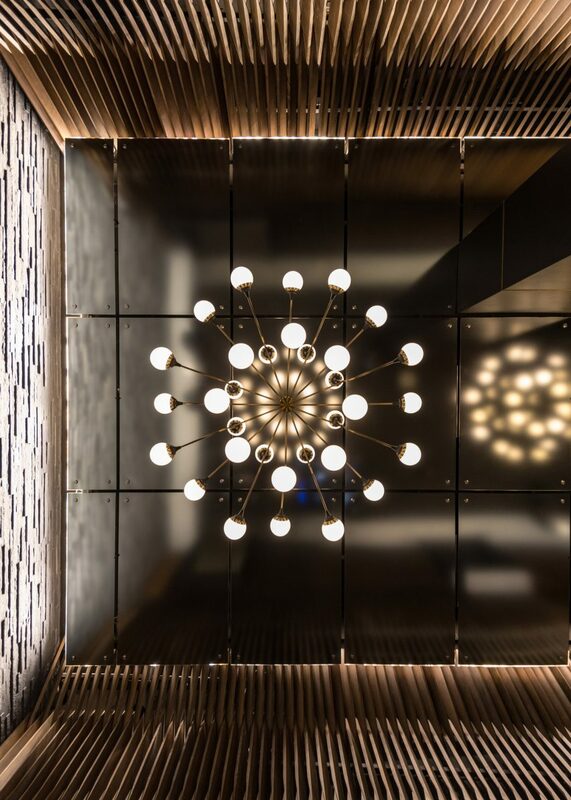 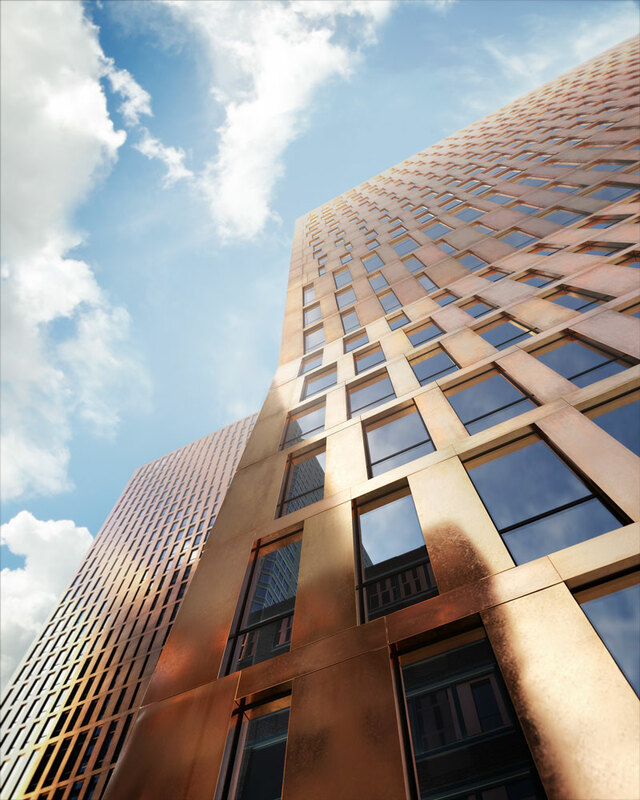 Clad in copper, the approximately 800-unit luxury rental community reach 41 and 48 stories in height with an iconic sky bridge connecting the two towers. 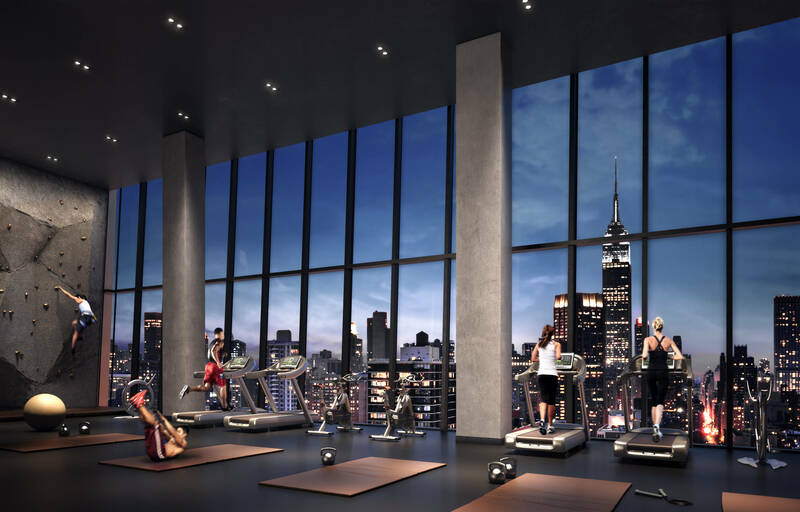 The development features an amenity package that is setting a new benchmark for rental development, including an indoor lap pool and lounge in the sky bridge, a rooftop deck and infinity pool, fitness center, and spa. 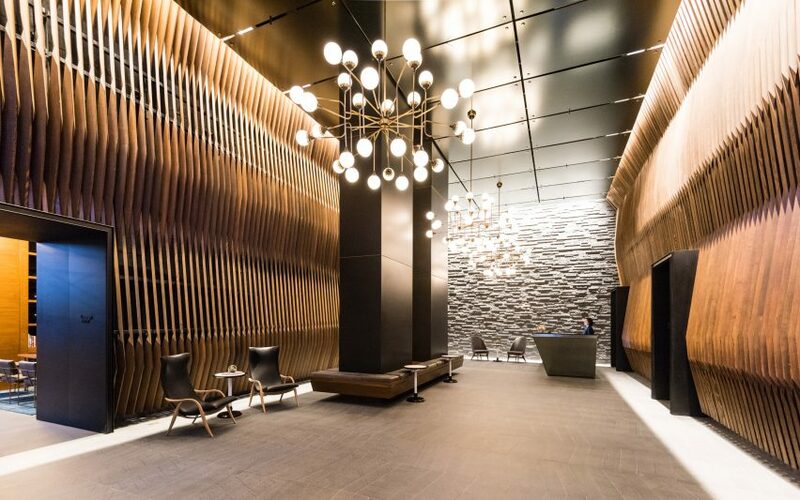 The towers bring energy and inspiration for future innovative growth in its neighborhood and along the East River.